Anyone who visited the Lautapelit booth at Essen this year would have seen multiple titles that Finnish Ossi Hiekkala has worked on – “Honshu” the new map building game set in feudal Japan by Kalle Malmioja, and the ingenious fast paced bicycling race “La Flamme Rouge” from the designer Asger Harding Granerud . On both of these games, Ossi worked together with graphic designer Jere Kasanen. 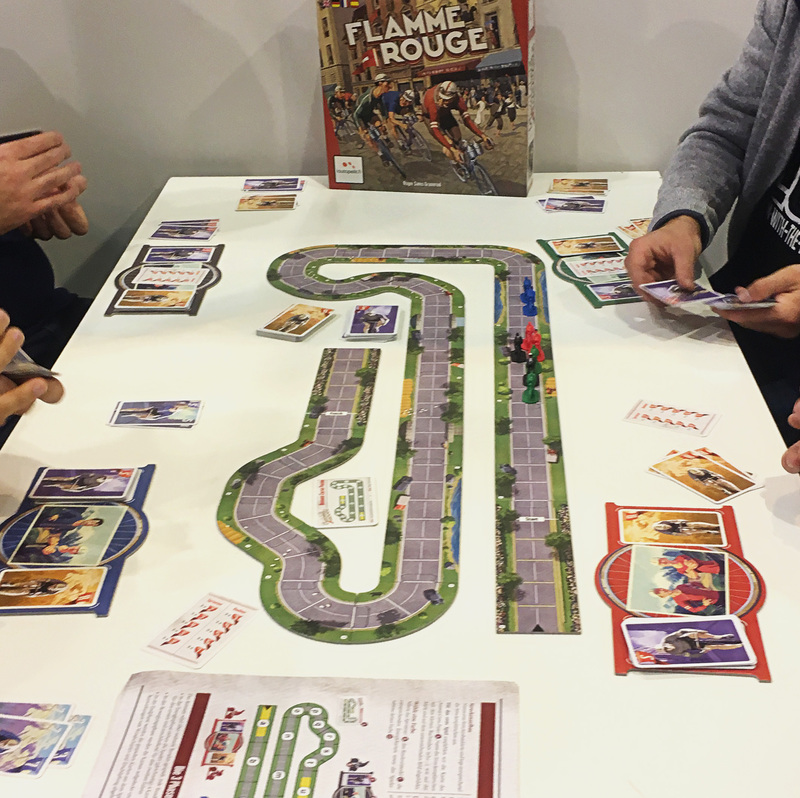 On a normal day, I would probably be reluctant to sit down for a bicycling game – but the art of La Flamme Rouge combined with seeing how it plays blows my mind and make me turn on a dime. Looking into the world of the archipictor Ossi Hiekkala as he calls himself, you will find an extraordinary artistic visual universe. That is why I am happy to share this interview with him together with comments from the La Flamme Rouge designer Asger and co-artist Jere. I studied graphic design in the University of Lapland in Rovaniemi, Finland. After graduating as a Master of Art in 2003, I went to study illustration in Hokkaido Tokai University, Asahikawa, Japan. I met many of the Japan’s top illustrators while in Japan. Archipictor is a medieval equivalent of AD, the head scripe of a scriptorium in monasteries. How did you get involved in Lautapelit.fi. I see you worked on games like Nations and M.U.L.E? Our cooperation started when Toni Niittymäki from Lautapelit.fi asked me to make illustrations for Hornet. That must have been 2008. How do think a perfect brief should be for game art? Enough freedom for artists to originate different solutions. 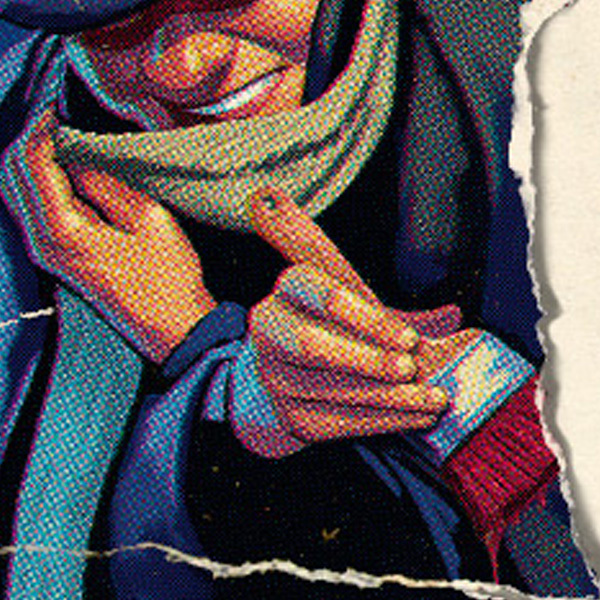 Your style on the new game La Flamme Rouge and your style, in general, are so full of story, realism, softness, hard work and resemblances to vintage posters and classic illustrations. Would you say you work more traditional or digital – and what do you prefer? I love them both. For boardgames, it is better to do digital illustrations, though. There are often so many changes and some elements are needed on separate layers. Your work seems to take a long time (how long?) to get all the materials to look so realistic. 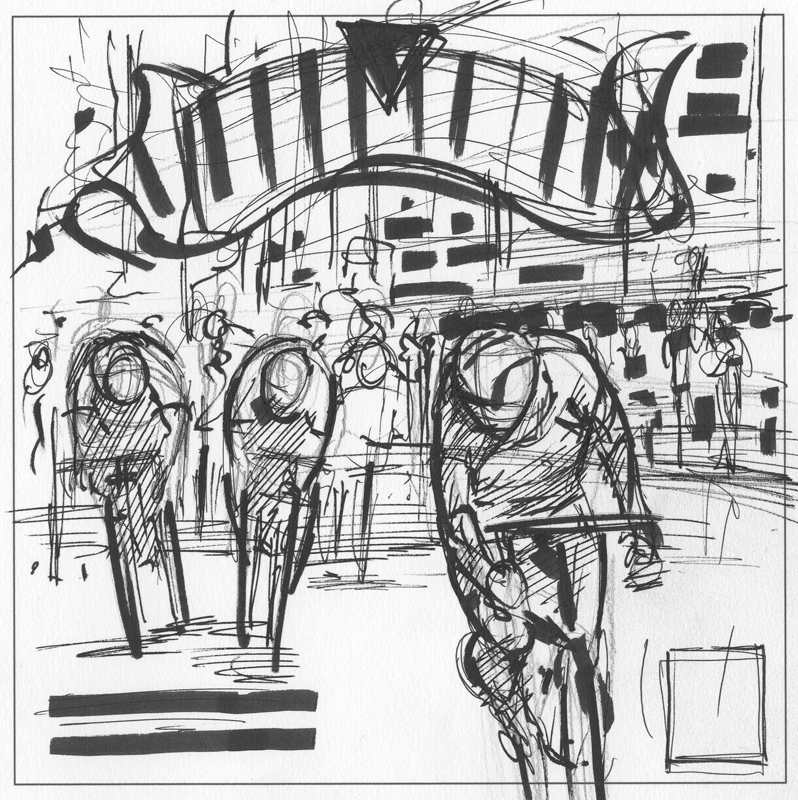 Can you describe your workflow from initial idea to the finished print on one of the card illustrations for La Flamme Rouge. Oh, those took some time. We made many changes, based on test play feedback. The cover was actually much easier to do. I had an idea and it was accepted. Then I proceeded with more detailed sketches and after those were OK’d, I started to paint the final version. It took time but there were no major changes. 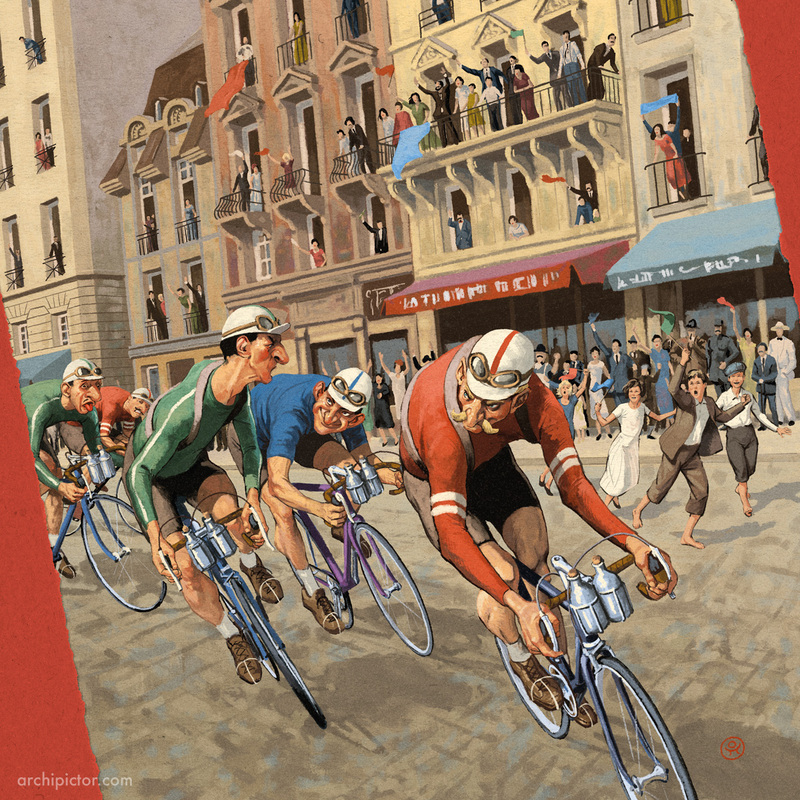 If you like cycling – you can not have missed Triplets from Belleville – and in some way i think your cover has a bit of that feeling. How was it decided that it should not be a modern race but a more historic look? I am a cycling enthusiast, so I made the illustrations for myself too. 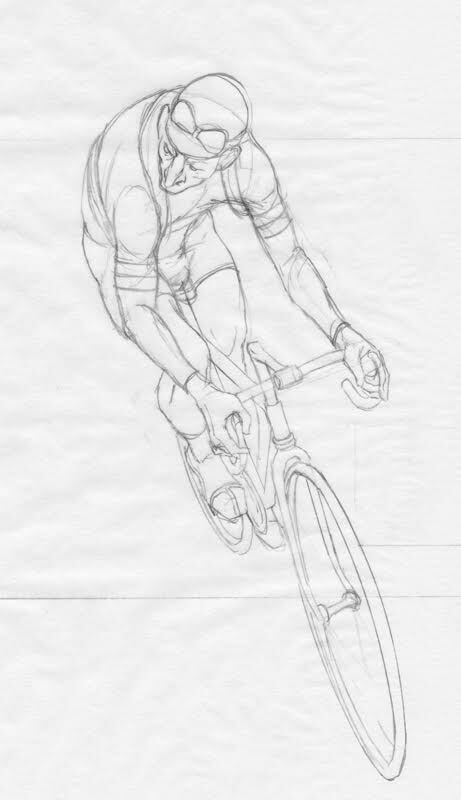 Triplets of Belleville definitely was an influence, as were old racing posters. I think the idea for historical setting was already decided when I got this job. Jere Kasanen did the graphic design. How did you work together? It is always back and forth with the graphic designer from the beginning when doing board game illustrations. 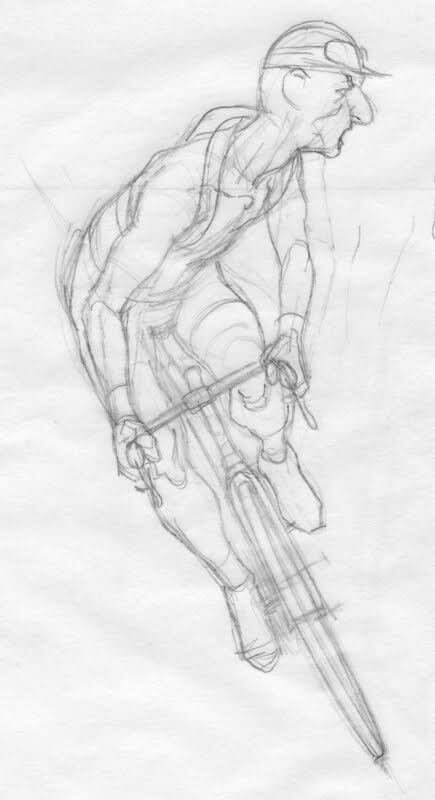 I think Jere is also a bicycling enthusiast, so it was very easy to brainstorm ideas. Here I ask Jere the Art Director at Lautapelit and the designer Asger a few question about the process as well – before returning to Ossi. Hi! Jere – How did you work with Ossi on La Flamme Rouge? 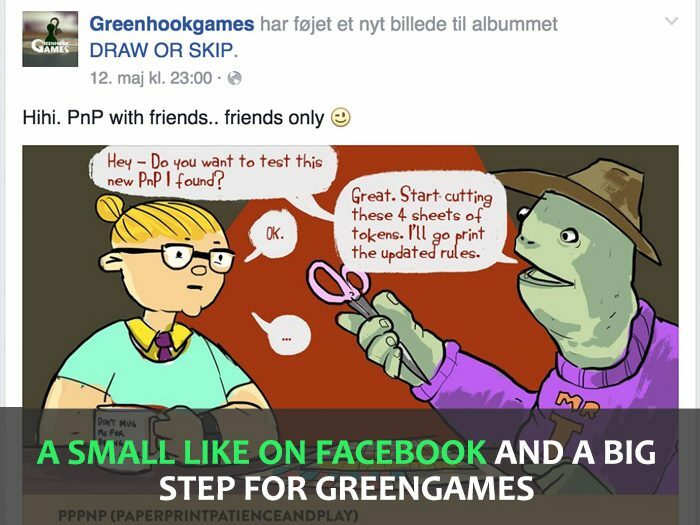 We directed Ossi’s work as a creative collective both lautapelit.fi staff and Asger the game’s designer. We started with the Box cover, and from there on I mostly provided information what art pieces we still needed for the game.Ossi provided me art to work with and then I started to make a game out of it. I add a lot of graphic elements to the interface, to make the game as user-friendly as I could without compromising its very thematic nature. 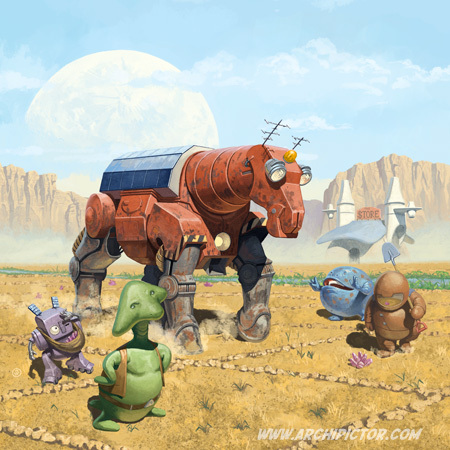 While trying to use the art Ossi provided me with as far as possible, there were times when I noticed we need something more or had to adjust some of the art to make the best possible product. A great example was the art pieces I requested from Ossi – so I could collate them to make all the road tiles. Ossi made me a set of trees, cows etc. and then I constructed all the road tiles by moving those elements around, making them seem very different, although they all are from the same source. At the same time, I was busy with rewriting and making the layout for the rulebook and making rough layouts for the box. It was very important to me to continue the style and theme Ossi made so vivid with his art. An example of this was how I made the rulebook and the box to look a bit like an old magazine/newspaper. Thank you, Jere, for the insights on the process. Make the art, game and graphics fit together in nice harmony as a graphic designer is no small task. Now I will ask Asger the designer the same question but first I am curious of how final the game was in terms of art when you partnered with Lautapelit.fi ? Nothing really. Different versions of prototypes, and I had gotten a lot of help to make something neat looking for the version I pitched (shout out to Mads Fløe and Claus Raasted), but none of it was ever meant to be reused. How involved were you in the art creation for your game? Very involved. I helped define the setting, and wrote the overall instructions for Ossi’s work on the cover. From then on I drew sketches for the different symbols and tiles together with the graphic designer JereKasanen. Jere and I had a lot of back and forth on the user interface details of the game. I’m not an art director or graphics designer, so it was a learning process but I’m very happy with the overall result. Very! How do you as a designer experience the process of making art and working with Ossi? I’ve also worked with him since, and I must say I really, really like it. 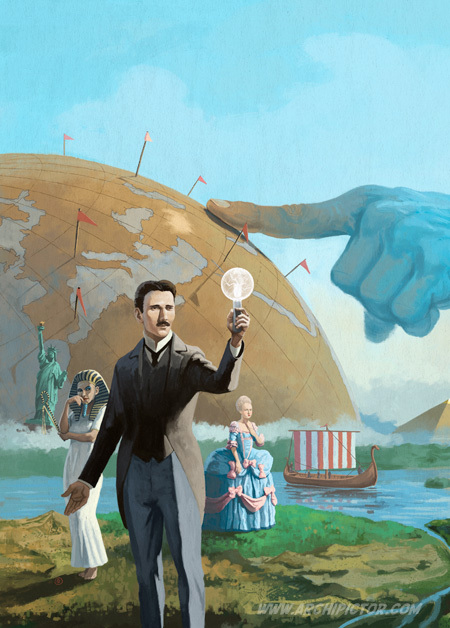 He can take a core idea, from a few lines of text, and turn it into magic. At least it seems like magic to me. Of course changes and tweaks have been made throughout, but after the initial brief talk, he rolls with it 95% on his own. I mentioned that I’m not a graphic designer or an art director, but I’m even less of an illustrator. I can draw a star or a stick man and make it look ugly even if I’m trying not to. Working with someone talented that doesn’t need constant guidance is, therefore, paramount, simply because I can’t provide said guidance. People playing La Flamme Rouge at Essen. So Ossi – what is in your opinion most important to do when making art for board games? It should address the player, get them excited to open the box. It should tell some kind of story, make them identify with the game. It should tell some kind of story, make them identify with the game. 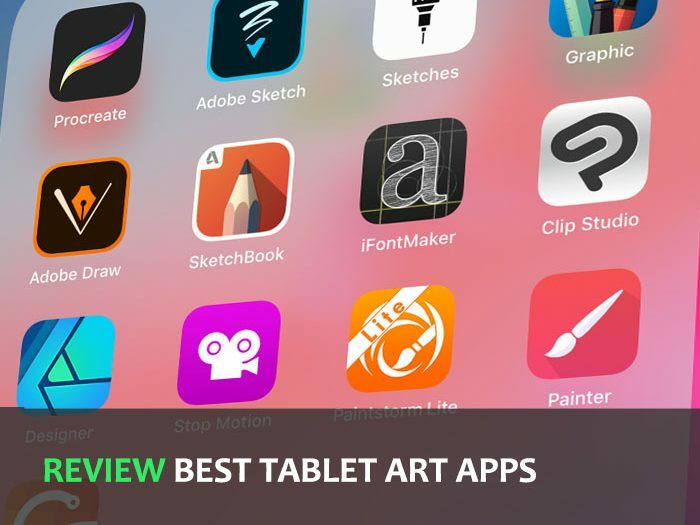 What is your favorite hardware and software, you use and what is in your opinion the best quality/assets of that software? Well, I sketch with good ole pencils but I paint with Photoshop. I have tried some other software but I have found that Photoshop works best with me. I have Mac. Do you digitally like to have many layers (working non-destructive) or few layers (work more intuitively)? I’d prefer to use as few layers as possibly. Unfortunately, the need for cutouts often demand some layers. I often feel layers are more like crutches. Who are your own favorite artists(name 1-3 if you like)? There are just too many, but some I really love are Robert McGinnis, Akira Mouri, H.J. Ward. None of them are contemporaries, though. I tend to look at the history for my inspiration. Where should I begin? The language, the people, the food, their hot baths? I just love to the country. As a Finn, I feel very comfortable there. I can recommend everyone to buy Andrew Loomis’s and James Gurney’s books. Money well spent. Anything else personal, like a project, shops, etc. – you want to promote? 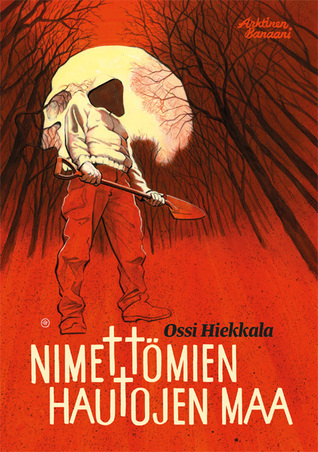 Well, my first comic book ”Nimettömien hautojen maa” (The Land of Unmarked Graves) was published this fall. I hope it will be translated to other languages. I’d call the genre Finn Noir. Thank you for sharing your work with us. 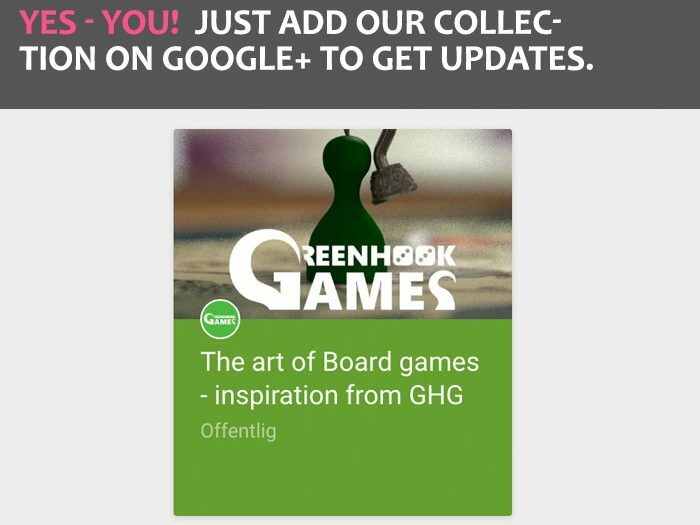 We shall look forward to seeing more from you in the world of board games.